The Objection: Head Covering is “majoring in the minors”. It’s taking an obscure passage that’s only mentioned once in the Bible and forming an entire practice out of it. Rather than debating this issue we should be worried about more important things like feeding the poor and sharing the Gospel. The head covering passage (1 Cor 11:2-16) is often classified under the “obscure” category in Scripture. One theologian said, “head covering here and the man of sin in II Thessalonians are two of the three most obscure passages in the New Testament“. But is that so? This section of Scripture is debatable and there are good objections to the practice that require much thought and study. But obscure? A truly obscure verse is not expanded upon, explained or defended. The meaning cannot be easily discerned because of its vagueness. Good examples of obscure verses are 1 Cor 15:29 (baptism for the dead), 1 Tim 2:15 (women saved through childbearing) and 1 Cor 11:10 (covering “because of the angels”). Now even though there’s an obscure verse in the head covering passage (1 Cor 11:10b), the section as a whole is not. An obscure passage would likely occupy a verse or two. Head covering is taught in 15 consecutive verses. An obscure passage would be mentioned, but not explained. With head covering Paul says “I want you to understand…” (1 Cor 11:3) and then unpacks the meaning behind the symbol. An obscure passage would be commanded but with no reason as to why. 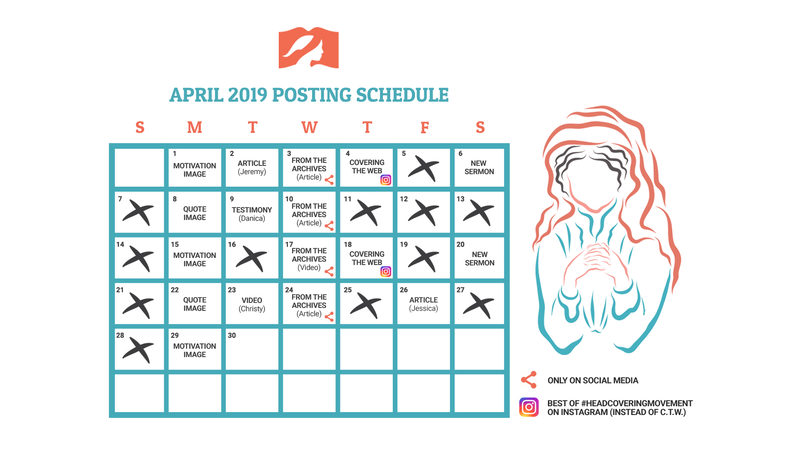 With head covering Paul gives reasons for why we’re to practice it including the creation order (v. 3, 7-10a), nature’s witness (v.14-15) and angels (v.10). 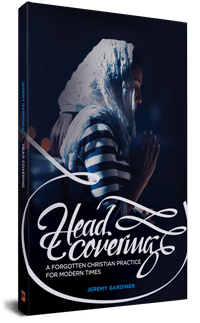 He tells us that head covering is a part of official apostolic teaching (v.2) and is the practice of all churches, everywhere (v.16). 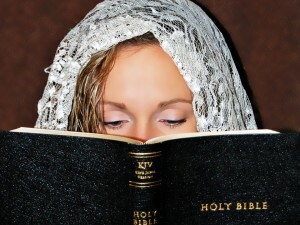 Rather than being obscure, head covering is the most defended symbol in the New Testament. A similar objection is that head covering is only mentioned once in the Bible. This is true. But how many times does something need to be mentioned in Scripture before we take it seriously? The answer has to be just once, because of who the Author is. All Scripture is profitable. Not some and not just things that are mentioned many times, but ALL. Not only that, but all Scripture is “profitable for teaching”. This means discussion and teaching on head covering is not a distraction but a proper response to belief in the inspiration of Scripture. It’s also worth noting that the Apostle Paul devoted essentially the same amount of time to head covering (1 Cor 11:2-16) as he did to the Lord’s supper (1 Cor 11:17-34). On both topics he only felt the need to address them once. If repetition were to determine importance then the Apostle Paul saw head covering and the Lord’s supper as equally important. He would also see greeting one another with a holy kiss (which he mentioned four times) as more important than if women are able to be pastors (which he only mentioned once). Clearly that is not the case. Some think that prolonged discussion about this topic (and surely a movement dedicated to it) is distracting us from the more important commands like feeding the poor and sharing the gospel. First, are those commands more important than head covering? Well, yes. Yes they are. I hope that doesn’t surprise you. Head covering is far from the most important command. But once again we believe that God is the author of “all Scripture” and so all Scripture deserves to be taken seriously. Let’s take a look at how Jesus handled “lesser commands”. As we can see, Jesus didn’t view lesser commands as optional. The least are to be observed along with the greatest. They need to be distinguished and kept in their proper places, but both are to be observed. The teaching of head covering is not wrapped up in obscurity. It’s a lengthy explanation with many reasons for why we’re to practice it. Since this is so, it’s unfair to compare this to those who build a doctrine from a verse out of context or a passing vague statement in the Bible. While it is only mentioned once, once is enough because God is the author. Futhermore, one can hold to head covering without assigning an importance level to it that the Bible does not give. To set different biblical commands against each other is a false dichotomy. It’s not head covering OR feeding the poor, it’s head covering AND feeding the poor. One does not have to stop serving to study and practice this biblical teaching. I love this article. I have heard this objection many times and always answer it with points similar to those here. This will be excellent to share with others being well-written and thought-out. I was very pleased to find your web site yesterday on my Internet travels. It is so refreshing to see the truth proclaimed!! I have found Isaiah 4:5 in my studies that I believe witnesses to this teaching. May God bless you for teaching His truth. I know someone raised this issue in comments before. It’s good to bring it to light in a post. A good point was raised, nothing is insignificant with, God. The positive impact head covering has had on my life is far from small. 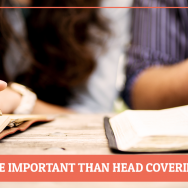 Head covering, and talking about head covering, takes nothing away from the rest of scripture. Anything we do out of obedience to God only enhances our faith walk. This is one of the best articles to date! Love Love Love it! Very good explanations. I’m the author of all articles unless otherwise noted. Thanks for the comment! Thank you! Good work! I just wondered because there was no name after it or anything. Thank you for spending the time to write these articles! So what is the “fruit” that I observe when I poke around on the “Head Covering Movement” website? But those aren’t the “testimonies” that I find here. No. Instead I’m treated to the stories of Desiree Hausam, Elizabeth Cordova, Stacy Crosmun, Zel Barribeau, Danica Churchill, Amanda Gardiner, Melissa Walker, and Bernice Copenhaver. And what are their testimonies? They basically all want to testify what a blessing it has been to THEM now that they’ve started to wear a scarf to church. Well whoop-tee-doo! Basically what I read from their testimonies is not how God has taught them that what is MOST important is to bless others. Instead what I read is how wearing a scarf to church has made them more smug. After all, they are truly being “obedient” to the Word of God. Do they and you really think you can say things like this without the direct implication that you believe that those who do not wear a scarf to church are being openly disobedient to God? And then, as if that wasn’t enough to convince me that the “fruit” that I see here seems rather lacking in real nutrition, I see that you, Jeremy, also want to “take issue” with and wag your finger at ministries who actually ARE bearing good fruit! In your article titled, “Can we symbolize our roles using a different symbol” you take pot shots at the Salvation Army insinuating that they have taken “God’s rule… into their own hands to shape it according to their own pleasure” all because “the Salvation Army acknowledges that there are many worthy ways of publicly witnessing to having been baptised into Christ’s body by the Holy Spirit and expressing a desire to be his disciple.” I don’t know about you, but when I observe the actual “fruit” of the Salvation Army and I see the way in which they are concerned about blessing OTHERS, I guess I’m just not as prone to “take issue” with them as you seem to be just because they don’t practice a “symbol” in such a way that meets with your approval. The impression that I get from what I’m reading on this web site, and from the testimonies of those who contribute their stories here, is that in order to be “truly obedient” to Christ what you need to do is wear a scarf to church. And if I read at least some testimonies here that indicated to me that wearing a scarf to church actually contributed in some way to making them more prone to feed those who are hungry, and offer drink to those who thirst, and offer comfort to the stranger, and clothing to those who have none, and care to those who suffer, and friendship to those in prison, then I might actually be convinced that there was something to it. Instead, from what I’ve seen here, it appears to me that wearing a scarf to church does little more than to make the one wearing it incredibly smug. I wear a covering most of the time, and I believe it’s important, and a clear teaching for the Church. I do understand your sentiment, but do you challenge other topical blogs the same way? Christian marriage blogs, creation, anti-abortion, home schooling, modesty, nourishing food, etc. You could say the same about many of those. 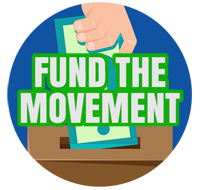 Often the topics inspire debate and controversy, or simply support a group that agrees. They don’t often inspire to specific good works like you mention. Paul didn’t hold back in his teachings in the assembly, yet the general assembly today has relatively no teaching on this subject among others. It does the Body of Christ a disservice to leave out passages that can have great impact on lives. Maybe you see smugness, but for my own experience, it was the most humbling thing I have approached as a woman. It is not something I flaunt in “self-righteousness” and I have been maligned and judged for it. It would be much easier to not wear it. But I see a spiritual struggle surrounding it, which reinforces the conviction I have that it has significance. Ac 20:27 For I have not shunned to declare unto you all the counsel of God. I can most assuredly promise you that if you came to my church you would not find that 1 Corinthians 11 has been ripped out the pew Bibles. Just because we have reached a different conclusion than you have on this subject doesn’t necessarily mean that we have left that passage out. I similarly see spiritual struggle surrounding this subject which reinforces the convictions I have about it. I had *never heard any teaching on this subject until I was about 28 years old, being raised in Lutheran and Charismatic assemblies. I know many Christians with the same experience. Nonetheless, it is unfair to assume or to insinuate that the ONLY reason someone doesn’t cover is because they have “never heard any teaching on this subject”. I understand that is your experience. It certainly isn’t mine. So, I’m going to assume for the moment that you are here to further the discussion. 🙂 You didn’t answer the question; do you challenge other topical blogs the same as this one? I did not say, nor do I assume that lack of teaching is the only reason some do not cover. But, regarding your assertion that this blog is “majoring in minors.” I believe the subject is avoided enough in general to merit the use of a blog such as this to promote the study of it. My views on covering have evolved quite a bit from the time I first read about it. Your assertion about women “feeling blessed” is not falsely accused IMO. Do we give to the poor to bless ourselves? Some people do. Probably more than would like to admit it. Does going to “church” make people feel good about themselves? I would say for many. The fact is, any good work bolsters our own religious flesh. What *should keep us from getting prideful (if we have good works, or feel like a “good” Christian) is the fact that we are all sinners that deserve death. Christ is the only reason God can accept us, and remembering that it’s *His work, and not our own that brings Glory to God. People do (myself included) get puffed up very easily when they “feel” obedient to Scripture in their understanding. Getting knocked down by others pointing out your hypocrisy, or reminding you that you don’t know everything, is very helpful in this regard. The Church in this age is very feeling oriented. But obedience isn’t about pleasing God, or feeling good about ourselves. It’s about putting aside our “self” and allowing the Holy Spirit to use us. Sometimes I do, if I read something that I think should be challenged. I think it was insinuated by what you did say, though. Nonetheless, we are having a discussion. I recognize that we can all be guilty of insinuating something unintentionally. I do it too. Fair enough. But this site seeks to advance a specific message: All Christian women need to wear a piece of fabric on their heads. I understand what you are saying, but regardless if you give to the poor someone BESIDES you is being blessed. Hopefully, though, going to “church” is not an end in itself. “The Church in this age is very feeling oriented. But obedience isn’t about pleasing God, or feeling good about ourselves. It’s about putting aside our ‘self’ and allowing the Holy Spirit to use us. Allowing the Holy Spirit to use us to do what? I would say that the Holy Spirit desires to use us to bless OTHERS. Will blessings come back upon us when He does that? Sure they will. But the “majors” have to do primarily with blessing others IMO. Because that is their understanding. Some marriage blogs tell women that they *all need to submit to their husbands, some modesty blogs say *all women should wear dresses. There are “quiver-full” sites that would say it’s not biblical to use *any kind of birth control, or even family planning. They would claim those assertions to be biblical. What is so different about this site? Who is blessed when we worship? That is our first call as believers. When take the bread and cup, who is blessed? Produce fruit. “Ga 5:22 But the fruit of the Spirit is love, joy, peace, longsuffering, gentleness, goodness, faith, Meekness, temperance: against such there is no law.” All the good works the Lord would have us do pour out from His Spirit. Not our own good intentions. Nothing. Just because I’m choosing to make comments on this site doesn’t obligate me to make comments on those sites. Amen. You say that as if I’m going to disagree with you about that. That is true, yet you seem to insinuate that this site shouldn’t exist. I would hope that those that read here are encouraged at least to go and study the subject for themselves. There are things about this site I haven’t agreed with, but overall, I have enjoyed reading the discussions, and have learned some new perspectives on covering. I have also been reminded of the need to be graceful toward others, whatever understanding they come to. Yes, that is true, yet can anyone truly do this? If our salvation were based on just these two commandments, we would all be condemned. Sounds simple enough, but it isn’t. Jesus told the woman at the well that the Father seeks worshipers. That is why worship is foremost (in my understanding, covering or not) because it is during communion, remembering Christ’s atonement for us, that we are reminded that it is His work that saves us, and not our own. 🙂 I don’t suppose you would disagree. I suppose that if I felt like debating a certain topic, I would enjoy going to a site that I didn’t agree with and debate how Scriptural I thought it was. Nah. I just strongly disagree with what this site is touting. Agreed. There seems to be a few readers here, though, like Melissa Bishop for example (referring to her comments to me in this very thread above), who don’t seem very interested in considering an opposing view. She just wants those who disagree with the point of view being touted here to “go away and leave us alone”. There is great danger in that “holy huddle” mentality IMO. I’ve seen it happen a lot. Especially in Christians who have a strong “separatist” mentality. They dismiss those who express an opposite viewpoint as “nothing more than trouble makers”. They certainly aren’t interested in being “friends” with those people. Yikes! Again, agreed. I think there are some here, though, that would take issue with your parenthetical “covering or not”. They basically believe that it is impossible to truly worship God without a piece of fabric on their head. Basically all I’m doing here is trying to present my view. It just so happens that I have studied this passage and come to a different conclusion than what is being touted here. I could do what most Christians do with sites like this: ignore it. I’ve just chosen to jump into the conversation here. I think you are nothing more than a trouble maker. I have read the same testimonies and have not seen anyone being, ‘smug’. You, however, are being smug, stirring up lies (bearing false witness against sisters in Christ) and trying to cause trouble. Your words are not edifying, nor do they spur others on toward love and good deeds. Perhaps this site is not for you. No one is forcing you to comment so I can only imagine that your reason for coming back time and again is to be deliberately contentious, tear people down and to cause trouble and hurt feelings. If you do not agree with the head covering movement then just stop visiting this site and leave the rest of us alone. Who are you to judge another’s servant? Yikes! You think I am “nothing more” than a trouble maker? Please be more specific. Would you please tell me exactly what you are referring to when you say that. Exactly what have I said that leads you to the conclusion that I am “bearing false witness against sisters in Christ”? And, um, your words to me here are? So you have determined that those are my motives. Do you believe it is possible that those, perhaps, are NOT my motives? Jeremy has specifically invited folks to comment here even if they don’t agree with the head covering movement. Actually it feels like you are judging me here. Amen. I echo those words right back to you, my friend. I am not your friend. You know what you are doing and I do not believe this ‘innocent act’ you play when you ask people to define their observations of your very obvious behavior. You have done this before to others who have called you out on your attacks of people on this site. Thank you for modeling for us, Melissa, how it is that we are supposed to edify one another and spur each other on toward love and good deeds. I will do my best to try to remember that you do not want to be my friend. My request for specifics was not an “innocent act”. I genuinely would like to know what you are specifically referring to. I noticed in your article that you reference Matthew 5:19. You rightfully point out in your article that when Jesus said these things he was “speaking about Old Testament laws.” Actually He was referring to the Law and the Prophets. And what He said was that He had not come to abolish them but to fulfill them. He said, “For truly, I say to you, until heaven and earth pass away, not an iota, not a dot, will pass from the Law until all is accomplished.” Interestingly enough He doesn’t say, “until these Laws get replaced by something else under the new covenant” but rather “until heaven and earth pass away”. What would those who actually heard Jesus say these words understand Him to mean, or to be referring to? And then we come to the verse you cited. Jesus says, “Therefore whoever relaxes one of the least of these commandments and teaches others to do the same will be called least in the kingdom of heaven.” When He said “these commandments” He was specifically referring to the commandments that we find in the Old Testament Law and the Prophets, was He not? Now this site, and this article for that matter, seeks to make the case that the “commandment” for women to wear a piece of fabric on their heads is not an “optional” commandment, as you put it. The reason, according to you, is because Jesus didn’t view “lesser commands” as “optional”. According to you, the least are to be observed along with the greatest. They need to be distinguished and kept in their proper places of course, but BOTH are to be observed. And you reference Matthew 5:19 to make that case. Knowing that Jesus was of course referring to the Law and the Prophets when He made this statement, and since it was you that made the case that the “commandment” for women to wear a piece of fabric on their heads was one of the “least of these commandments” that Jesus was specifically referring to when He made this statement I went searching in the Law and Prophets to find that specific commandment. You’re going to have to help me here, because I have done every kind of search I can think of but I have not yet found that commandment in either the Law or the Prophets (to which Jesus was specifically referring). The Law and the Prophets is what Jesus was referring to in this passage, is it not? What I did find, however, were all sorts of commandments pertaining to diet and keeping the Sabbath and, well, all sorts of things. There are commands there about not eating swine, and how to prepare certain foods, and unleavened bread, and for all the men to be circumcised, and, well like I said, a whole myriad of things. And then you, Jeremy, draw the conclusion that Jesus didn’t view lesser commands as optional. The “least” are to be observed along with the “greatest” according to you. They need to be distinguished and kept in their proper places, but BOTH (meaning ALL) are to be observed. That is what you said, isn’t it? So I guess what you are saying is that Jesus taught us that none of those commandments that I found in the Law and the Prophets are optional. (After all Jesus did say “For truly, I say to you, until heaven and earth pass away, not an iota, not a dot, will pass from the Law until all is accomplished.”) So, according to you, the least of THESE commandments are to be observed right along with the greatest. That is what you said, isn’t it? And yet, even though I found all sorts of really interesting commandments in the Law and the Prophets to which Jesus was referring in this passage, I found nothing in there about women wearing a piece of fabric on their heads. But maybe you can clear all this up for me. I’ve been reading this blog periodically and notice that you often have very thoughtful responses to the various articles. Given the style of this online forum, I’m sure that the administrator of this site intends & appreciates the input of the readers. “Iron sharpens iron” — and amen, we all ought to be seeking an accurate, biblical interpretation. To me, though, some of your comments can come across as a bit sarcastic and even somewhat condescending. I’m not referring to the accuracy of what you write, but rather the tone of it. As we want our words to build up the Body (in both content and kindness), perhaps you could consider the idea of re-posting some of your comments, making the same points using different words. When we believe that someone is wrong about something they are saying, I believe the basic principle of 2 Timothy 2:24-25 is helpful (especially the idea of “with gentleness correcting those who are in opposition”). It is our (sometimes-challenging) calling to be both a strong defender of the truth and also kind/gentle at the same time. I hope that you’ll receive this note as from a brother. Thanks for the feedback. Naturally I agree with everything you’ve said here. Sometimes, though, this kind of feedback can be too vague to be helpful. You wrote, “To me, though, some of your comments can come across as a bit sarcastic and even somewhat condescending.” You also refer to a general “tone”. Please offer for me specific examples of what you are referring to. That would be more helpful. — Your comments about the writings of John Bunyon and Mr. Keach (regarding women meeting separately from men). You did communicate your point, but it seems to have been done mostly in a mocking way. — Sharing about a commenter’s dismissal from their church, which they themselves hadn’t shared. Though this was somewhat connected with the topic being discussed, this seems like a fairly personal/private topic to me (and, I think, to the recipient of the comment) and not truly necessary to make public. — Comparing the site administrator to a drug dealer, and comparing some of the site’s readers to drug users. Again, I’m not seeking here to bring up any issues with the accuracy of what you wrote, just the kindness/tone/sensitivity. The list above is provided at your request for “examples” — but really, I’m not seeking anything beyond your own personal review/consideration of the comments. I know that this site’s topic is emotionally charged/sensitive for some people who have had to deal with social fears, the negative effects of legalism, confusion, and the desire for the truth. While personalities and sensitivity levels vary from person to person, I’m sure that the wisdom/discernment/conscience that the Lord has given will be sufficient guidance for commenting in a loving way. Thank you for your feedback. I would like to respond to what you offered, if I may. John Bunyan is dead. I’m not too concerned about hurting his feelings by mocking him. Furthermore, yes, I was being sarcastic. I happen to believe that it is not a sin for Christians to employ a little sarcasm to make their point. I think both Paul and Jesus used sarcasm to get their points across at times. (And lest you protest that they were allowed the privilege of doing this by virtue of either deity—in Jesus’ case—or apostolic authority—in Paul’s case—I think neither of them were the type of teachers who would say, “Do as I say, not as I do.”) I do not believe that sarcasm is off limits to Christians in all cases and at all times. You say that it “seems” to have been done in mostly a mocking way. What’s not to mock? If you read what John Bunyan wrote you see that he basically makes the case that women should not have a worship service without men present because they are too “inferior” and basically dimwitted to handle such a thing. I’m sorry, but I make no apology for mocking that. Furthermore, how many of the women who read this blog would agree that Christian women should never ever take part in any kind of a women’s Bible study? That was John Bunyan’s position, and he tried to make his case from the Scriptures. I make no apology for mocking that position. I understand your concern, but in this case there is more to that situation than meets the eye. What you don’t know is that Christian Filbrun and I have been verbal “sparring partners” (so to speak) for years. In another conversation in another public blog space I had asked Christian to share what led him to make the decision to leave his church. In reply he was quite adamant with me that he had not chosen to leave his church but was rather “given the boot”. I had not revealed “private” information about Christian in my comment. As a matter of fact he wants it to be known that he didn’t simply leave his church. He is quite adamant about the fact that he was, in fact, kicked out. He has been quite clear with me that he didn’t leave his former church but was rather “kicked out” and he shares that openly and unashamedly. Christian Filbrun has some rather extreme notions about things. But, again, I am not divulging personal information about him if I tell you what his views are since he unashamedly holds these views and defends them. For example, Christian Filbrun believes that if someone becomes a Christian who is divorced and remarried, in order for that person to be “obedient to the Scriptures” he or she needs to leave (basically divorce) their current spouse (regardless how long they have been married or how many children they may have together). He believes that those who have not similarly come to the same conclusion he has come to about this have fallen prey to “false teaching, deception, and poor exegesis of the scriptures.” Interestingly enough, he would use the same hermeneutic that Jeremy uses regarding the head covering to make the case that under the New Covenant any divorced and remarried couple that becomes Christians needs to get a divorce. If they don’t do that, then they are guilty of “unrepentant sin” and should not be allowed to become members of the church. According to Christian Filbrun, any church that would allow them to become members is a church that absolutely, positively, and undeniably does not “handle the [Biblical] text honestly”. I’m not kidding you about that. So have I just now publically outed Christian by divulging personal information about him? Go ahead; ask him yourself. He’s not ashamed of his position. He was asking that question in a kind of “street lingo” way that was more provocative and attention grabbing. He could have just as easily said, “I hope you’re smokin’ what I’m sellin’ ya here!” meaning, “What I’m saying here is good stuff; it’s the Word of God—I hope you’ll want to apply it to your life!” The reference to “smokin’ what I’m sellin’” is simply a more colorful, interesting, and attention grabbing way of saying the same thing. He could have just as easily said something like, “I hope you’re not smokin’ what some of those televangelists are sellin’!” It’s just making your statement in a more colorful or provocative way. I will tell you this, however. When I heard that pastor say that I wasn’t offended, feeling like he had just “compared” the congregation to drug dealers or drug users. I did NOT directly compare Jeremy or anybody else to a drug dealer or drug user. “Smokin’ what you’re sellin’” is simply a colorful expression. And yet, let’s face it; there are some people who aren’t interested in hearing an opposing point of view no matter how it’s presented. For them, the ONLY way to truly comment “in a loving way” is to agree with them. Let’s work hard to not dismiss someone, or the accuracy of something that someone has said, just because we might be a little put off by his or her tone. I realize that what you are saying is that sometimes it is hard for someone to hear the substance of what is being shared because of all the psychological noise that the tone creates in their mind. I get that. Then, again, I am encouraging you to engage in the conversation yourself and phrase the accurate points in the way you think it should be said. The reports of my death have been greatly exaggerated. But I concur that all conversations here should be held in a loving, truthful manner. I understand your argument that repetition cannot be the sole argument in determining which teachings should be followed or not. However, bringing in the Lord’s Supper for the rebuttal does not seem correct. The Lord’s Supper was something instituted by Christ. Though Paul may have only spoke of the Lord’s Supper once, that is not the only word we have concerning it. We have other passages that explain it more fully. I love this blog and I am so thankful for it already! Obscure or not, (and I think not), covering your head doesn’t hurt anything or anyone! There’s certainly more to gain than to lose by submitting to this teaching. One of my main objections was the one above, because a college mentor said it was “majoring on the minors.” (I’m sure she meant well, and at the time there were probably more important issues that I did need to address in my life!) I was also in a “culturally relevant” movement, and afraid that covering my hair would hinder my witness to unbelievers. Maybe worldly people wouldn’t want to be friends with a religious fanatic?! However, recently, I could not deny the soft wooing of the voice of the Lord on this passage of scripture. He helped me realize that a “thingy” on my head would not keep someone who is hurting from receiving encouragement from me. It won’t stop someone who runs out of gas in front of my house from accepting my proffered gas can! If anything, it instinctively lets people know that I can probably offer the help they need! This site seems to encourage men & women to obey one of God’s commands but Mr David Pendleton strongly disagrees with this & seeks to use every effort to rip down rather tha build up. From what I’ve read here I have not seen him encouraging obedience to God in this command.